Above, the LC200A measuring an inductor comprising 3t on a FT240-43 ferrite core, measurement frequency was 670kHz. 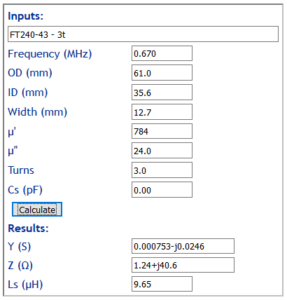 The measured inductance is 8.98µH, 7% lower than the estimate but well within tolerance of the ferrite core, and less than 2% below the value measure with a classic RLC meter. A motor was measured with a classic LCR meter at frequencies of 1kHz and 10kHz, and with the LC200A. 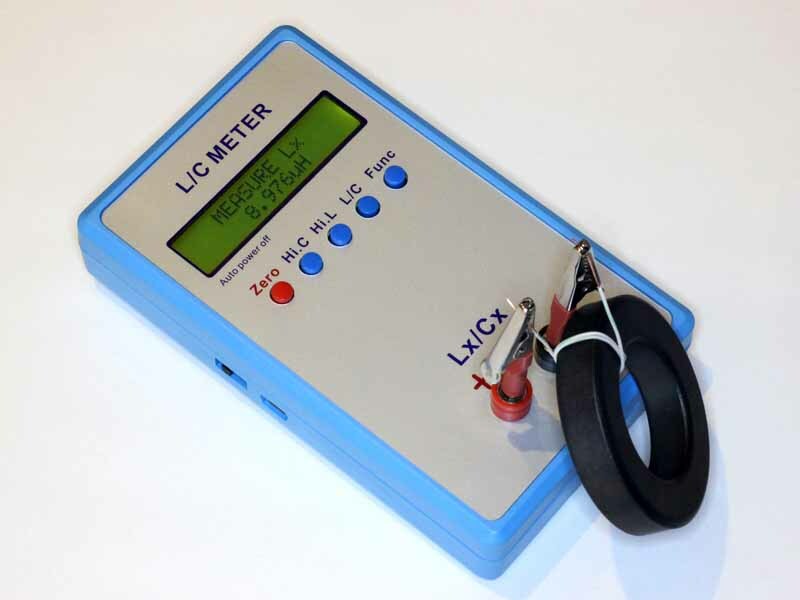 The inductances were 33, 28 and 14µH respectively, the LC200A measuring at 635kHz. Clearly the measured inductance falls as frequency is increased, a result of the iron core and lamination thickness and resultant eddy currents in the core. The most valid measurement is that of the classic RLC meter at 1kHz which is in the frequency range where the core is normally used. The measurement by the LC200A at 635kHz is not valid given the motor core type and its normal operation below 2kHz. Sadly, these inexpensive meters that measure in the hundreds of kHz do not provide valid results for this type of inductor. In terms of the DRI proposed, there is a risk that community measured inductances may be made with unsuitable instruments and care needs to be taken to validate the measurements.